Whether it’s out on the roads or through the thrilling experience of racing competition, the driving experience offered by the classic Mini is a big reason why so many people love it so. 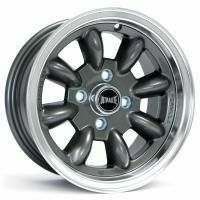 A massive help in creating these memories are mini wheels and tyres – so if you’re an enthusiast, looking to improve the running of your model, why not browse our wide selection here at Mini Sport? Mini wheels. No matter the size, materials or model in mind, we have all of your Mini wheel requirements covered. 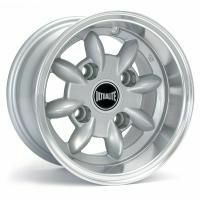 From 10” to 13”, our range of wheels are able to reflect the history of all classic models, as well as able to establish a new look and driving experience for your car. 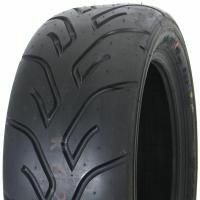 Mini tyres. 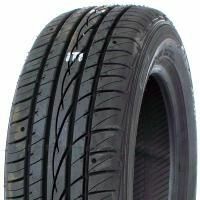 If you’re looking to replace a tyre or two, need a spare or want to reimagine the type, style and/or quality of your existing set, we have a vast range of Mini tyres that will meet all of your requirements. 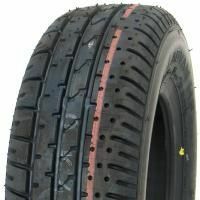 Some of the brands we stock include Falken, Dunlop, Yokohama, Avon Tyres, Max Sport, Kingpin – and our own Mini Sport brand. 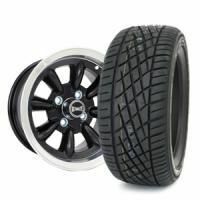 Mini wheels and tyres packages. Ideal for those who are restoring or building their own Mini, our Mini wheel and tyre packages can help you to experience that unforgettable drive in almost no time at all. 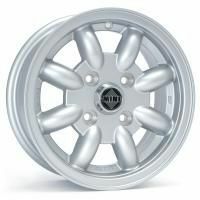 We stock high-quality brands such as JBW, Minilight, Dunlop, Ultralite and Revolution Wheels, with a selection of styles and designs to suit the aesthetics of your Classic Mini. Coming as complete sets with wheels, wheel nuts and wheel centre caps, they are fitted and balanced ready to be fitted to your Mini. Spacers, nuts and studs. 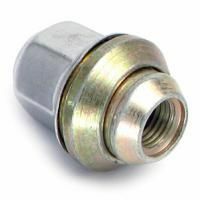 Make your wheels and tyres secure with our great quality range of spacers, nuts and studs. Whether you’re looking for valve caps, wheel centre caps, wheel hubcaps, wheel spacer kits or wheels nuts – our stock includes items made by Richbrook, Revolution Wheels, Miniator, MINI – as well as our own Mini Sport brand. Since the 1960’s, the heyday of the Mini, we have been providing Mini parts and spares to fellow enthusiasts around the world. Our complete service is able to supply you with anything you need to repair, restore or to reimagine the driving experience of your Mini. Being a long-running, family-owned business, we are proud to uphold the traditions of the classic Mini – a love that has seen us grow into a leading (head)light on the busy business motorway. Thanks to our time in the industry, we have grown a collective experience that allows us, not just to source the best materials and parts around but also to manufacture our own – matching the originals as closely as possible. We constantly strive to help our customers to find the perfect parts for their Mini project; no matter if they need a replacement, are looking to boost its running or are even building one from scratch. We believe in keeping this iconic range of cars on the road and track for years to come – so any advice you need, please feel free to ask. 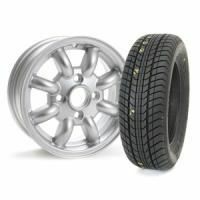 Please continue to browse our range of Mini wheels and tyres – and don’t forget to click on each individual product page to learn more about their particular components/requirements.